The Target Saver: FREE Poise Light Sample Kit! FREE Poise Light Sample Kit! 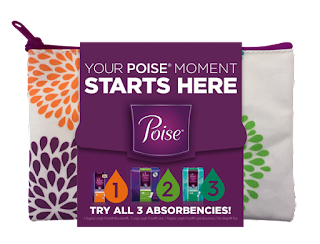 Request a free Poise sample kit! Simply fill out a short form and you will get your kit plus a coupon for a future purchase. These samples go fast so get yours now. Allow 3 weeks for delivery. If you've requested a sample in the last 6 months will not be eligible to receive another sample.